A good consultation starts with a thorough history and examination. 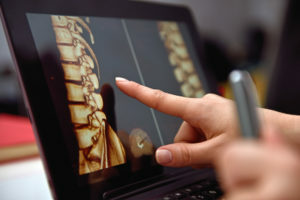 The chiropractor/ patient educator should educate the patient on his/her technique and what chiropractic can do for the patient and their symptoms. The patient should feel comfortable and should be able to get the answers they need to understand the chiropractic examination and solutions for care. Most chiropractic consultations and examinations last 45 minutes. There will be forms to fill out to get the information about your symptoms and your conditions. Nowadays, these forms are usually on the clinics website! So they can be filled out before hand. -When did your health concerns start? Was this due to an injury or car accident? Is there pain and what is the intensity and frequency? What is the pain type- sharp,dull,burning or throbbing? what causes the pain or condition to be worse or better? Does this condition affect your daily activities? What have you tried to help with your condition that hasn’t worked? They will ask information about family medical history and pre-existing medical conditions or prior injuries. Remember micro traumas add up over the years causing the body to degenerate and lead to symptoms. The chiropractic examination should be a through examination consisting of a blood pressure test, reflexes, as well as orthopedic and neurological tests. They should look at range of motion, muscle strength, muscle tone and neurological integrity. They may need to do further chiropractic tests, like posture analysis and gait analysis. Based on the patients history and exam further studies may need to be performed to reveal pathologies and structure. At times x-rays are suggested to help with diagnosis. There are a few diagnostic studies used by Chiropractors. Hope this helps to answer questions as to what to expect at your first chiropractic visit!